D.C. United promotes responsible drinking and positive fan behavior at RFK Memorial Stadium. The D.C. United Fan Code of Conduct and details of the D.C. United alcohol management plan that appear below ensure that fans have a safe and fun experience. Fans enjoy the soccer experience free from fighting, thrown objects, attempts to enter the playing field, political or inciting messages, and disorderly behavior, including foul, sexist, racial, obscene or abusive language or gestures. D.C. United and Centerplate promote the responsible sale and consumption of alcoholic beverages. Guests should be prepared to show proper identification and proof of age when purchasing alcohol at RFK Stadium. All guests are expected and encouraged to drink responsibly. All alcohol sales will stop in the 65th minute of the match, or at the discretion of D.C. United and RFK Stadium management. 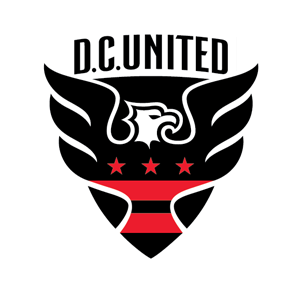 D.C. United takes on the Chicago Fire this season in the Heineken Designated Driver Challenge, a friendly competition to determine which club’s supporters can register the most designated drivers. Designated drivers who make this pledge at D.C. United home games receive a free soft drink and are entered into the Major League Soccer Responsibility Has Its Rewards Sweepstakes.